To be a good calibration engineer you do not necessarily need to perform magic. But it helps a lot. For this reason SGE Circus makes available a series of tools increasing quality and efficiency in terms of ECU calibration, measurement data analysis and processing. This manual gives information about the installation and execution of the software and main functionality that is common to all tools. For the documentation of the single tools please see the individual documentation. 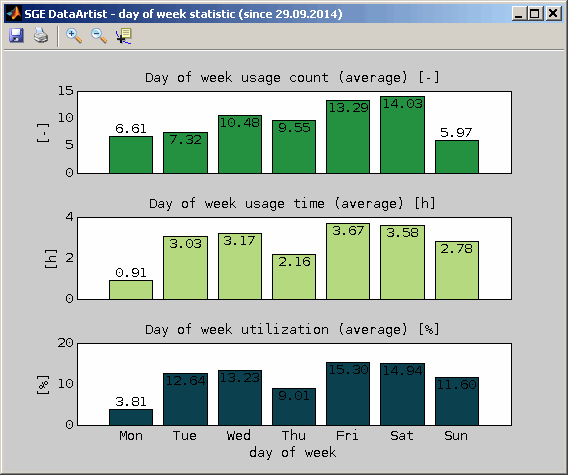 The DataArtist is our magic wand in terms of visualizing and processing measurement data. The MapArtist is the star in the ring, when on the fly maps are created from data, displayed and edited. 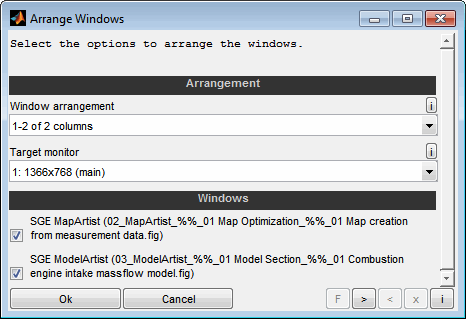 The ModelArtist is a tool to visualize and model multirelational data as well as to enable model based calibration. The SGE CompareArtist is a tool to compare datasets and visualize their differences. 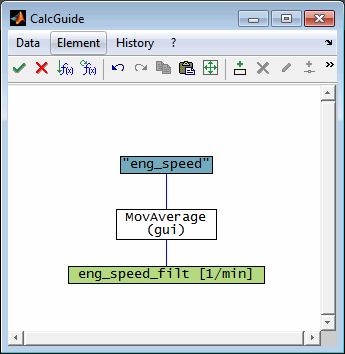 The SGE CalcGuide is a tool to implement calculation routines by creating graphical flow chart diagrams - included with all tools. The SGE Viewer is used to visualize the results of measurement analysis and calibration. We prepare the results as special MATLAB(*) figure files, which can be loaded with the SGE Viewer. The Simulink Library SGE extends Mathworks Simulink and Stateflow with powerful interfaces and functions that communicate with ETAS INCA software and CAN bus networks. The SGE OcrArtist enables to acquire measurement data autonomously without the need for standards or interfaces using OCR (optical character recognition) from the screen. Videos and tutorials are available on the internet. For information regarding the version dependent software changes please refer to the Release notes accessible using the corresponding menu item inside the SGE Circus. Install SGE Circus following the instructions from the → installation manual. Remove all removable hard drives and network interfaces for the first startup. In case of license error use license id from clipboard to retrieve license file from SGE. Install the free Apache OpenOffice suite or Microsoft Excel if you want to load / save data from / to *.xls- or *.ods-spreadsheet-files. If you need assistance regarding the installation or handling of the SGE Circus or if you experience any problems do not hesitate to contact our support using the corresponding menu item or by sending us an email to support@sge-ing.de or use the corresponding entry from the “?” menu. If you have problems with the current software, we will always try to fix them promptly. If this is not possible or you need an alternative immediately, you have the option to restore the previous software version. Please use the corresponding entry from the "?" menu. When exchanging data with the SGE support, they may provide you with files that are directly assigned to your LicenseId. To download these files please use the corresponding entry of the “?” Menu. Make sure you have the latest operating system updates installed. As data processing requires to handle big amounts of data we recommend to use a 64bit operating system on a computer with at least 8GB RAM memory and a solid state hard drive. To be able to execute the SGE Circus or any of its tools you must have the MATLAB Compiler Runtime (MCR) installed. Installation will be done automatically on demand using the → SGE Circus installer. For details see the → Installation Manual. By using the SGE Circus you also agree to the license terms of the MATLAB Compiler Runtime (MCR) – please refer to the license file MCR_license.txt located in the copied directory. 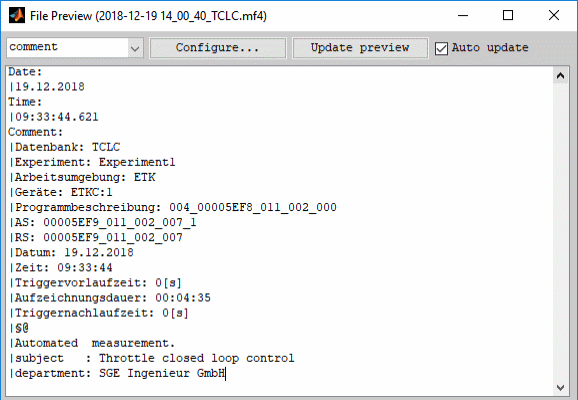 If you don't have the ability to install the MATLAB Compiler Runtime on the computer to use with the SGE Circus you can try to use it in a portable mode. All files required for portable use can be retrieved from the following location → SGE Circus Download Location. For details see the → Installation Manual. By copying the MATLAB Compiler Runtime files you agree to its license in the same way as when installing it. Please refer to the license file MCR_license.txt located in the copied directory. Using the MATLAB Compiler Runtime in portable mode should always be the second choice as it is reported to be not always a working and stable solution. If you want to be able to load / save data from / to *.xls- or *.ods-spreadsheet-files you have to install the free Apache OpenOffice suite or Microsoft Excel. This is used by the SGE Circus tools via a COM interface to access these files. You need a proper license file to run the SGE Circus and use all features. If you did not receive a license file yet please remove all portable hard drives and network interfaces from the computer to allow proper detection of the license id. Afterwards start the SGE_Circus.exe to find out the license id used to retrieve the license. The following message will appear. You can copy the license id to the clipboard if you would like to request a license file manually or you could use the feature to prepare an email message automatically. Depending on the license linking type the license validity is checked against the computer hardware (e.g. hard drive, network interfaces) or the logged on user name (only available in networks with domain controllers and central user management ). So make sure to remove all removable hard drives and network interfaces before proceeding. With a valid license installed you can then add removable hardware again. Licenses can be individual or shared (network based). If you want to use a shared licensed tool, make sure to have a network connection to the license server available. See “Shared network licenses” for details. After retrieving the license file you may also import it using this dialog window again. You can also continue without a license and use the SGE Circus with limited functionality. You then have access, for example, to the documentation and the examples. Additional options regarding licensing are available through the corresponding menu items available from the SGE Circus “?” menu. 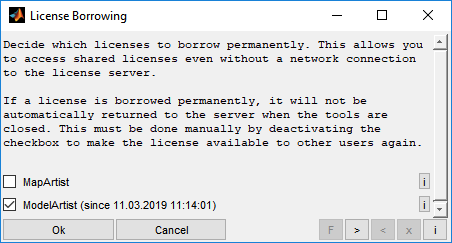 For example you can import an updated license file, see details regarding the license file (expire dates...) and deactivate the SGE Circus software permanently by deleting all license files. Shared licenses allow any number of users to access the licenses. For this purpose, a license server is contacted via the network, which manages the simultaneously available licenses per tool. The requested licenses are checked out when an application needs them. From that point until check-in, these licenses are not available to any other user. This is the default mode when a license is not selected to be borrowed (see below). The check-out is performed automatically when the first tool (e.g. first MapArtist, first DataArtist) is started. A network connection to the license server is therefore required for the first tool start. In the case of an available license a corresponding message is displayed for a short time. If no more licenses are available, a message is also displayed. If a tool is started without an network connection, an error message appears and the tool starts in a restricted mode. The options for loading and saving data are then restricted. When the last tool (e.g. 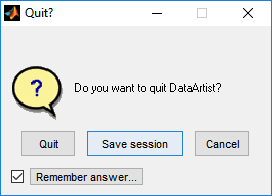 the last DataArtist) is closed, the license is automatically returned to the server. This again requires a network connection. If this is not available, the license remains blocked on the server for other users until the license is returned when the network connection is active. 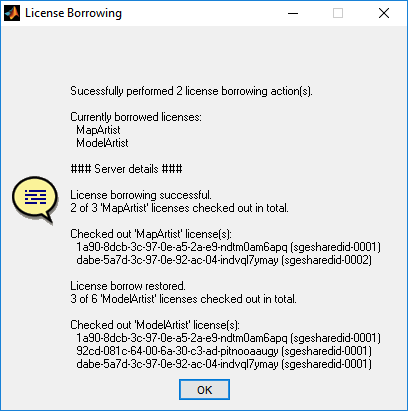 In order to enable the work even without a network connection there is the possibility to borrow licenses permanently, if this feature is activated in the license file. If a license is borrowed permanently, it will not be automatically returned to the server when the tools are closed. This must be done manually to make the license available to other users again. Use the corresponding toolbar button in the SGE Circus or menu item available from the SGE Circus “?” menu to borrow and return borrowed licenses. Therefor a network connection to the license server must be available. Already borrowed licenses will be initially checked and the date of borrowing will be shown. Decide which licenses to borrow permanently by checking the corresponding items. This allows you to access shared licenses even without a network connection to the license server. Uncheck items to return their license to the sever. If the license is still in use it will be return upon exit of the tools using the license. The SGE Circus is delivered as one executable file SGE_Circus.exe. No installation is needed if the MATLAB Compiler Runtime (MCR) is available on the computer. See “Installation“ for details. Execute the SGE_Circus.exe file to start the SGE Circus. Then in the background the components are extracted and the application is launched. If you want to use a tool with a shared license, make sure to have a network connection to the license server available. Also a command window will open. This is used to display some messages and will disappear after startup. It can be reopened using the corresponding menu item. Start the tool you like to use from the SGE Circus window by clicking the corresponding button or using a keyboard shortcut Ctrl + ”Number”. When you are finished terminate the SGE Circus. Never terminate the command window while SGE Circus or any tool window is opened. Otherwise the preferences will not get saved. Additionally to opening the single tools you can open supported file(s) directly using the corresponding menu item, toolbar item, drag&drop or paste feature from clipboard. These can be for example session files, template files, data files or calibration data files. You may be asked which tool to use to open the files. Multiple files can be selected at once and will be opened using the adequate tools. A list of recent session / template files is maintained in the the “File” menu to enable quick access. 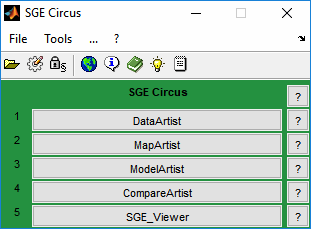 It is also possible to link the SGE Circus as an application for opening data files in Windows Explorer. If activated by the license file you will have the possibility to check for updates and install them. In this case you will find a menu entry „Update“. Also a periodic check for updates during SGE Circus start can be done automatically and is activated by default. You can modify the interval to ask for updates or turn off the automatic check in the preferences. For details see section “5.3.1 Settings”. The source to look for updates at may be an internet server or a local directory. The information is located inside the license file. The sub menu “Check for updates” will first try to perform an automatic check for updates and ask to start the automatic update process if an update is available. The update process differs depending on the update source. Your license file may specify a internet server as update source. In this case choose the “Download automatically” option if your computer has a stable, fast internet connection. The download will be performed automatically but cannot be interrupted and will not show any progress information. Your license file may specify a directory as update source. This may be located on a network drive. The directory can be modified if the update directory differs from the license setting. Using In the ...-menu of the SGE Circus you will find a “Manage preferences” entry that enables to modify the update directory. After successful download or location of an update container you will be asked to start the update process. In case of errors during the automatic update process you will be routed to the manual update. If the source is an internet server but your computer has no stable internet connection, a proxy server must be used or if a firewall denies the automatic internet access the update can be done manually. You will be routed to the update internet page using the system browser. The update container can be downloaded if any available. If a updated software version exists you can download a software container file. The second sub menu “Integrate update container” lets you integrate the downloaded file. Do not unzip the file manually. Be aware that during the update the SGE Circus will be exited without any further warning. So save your work before performing a update. Depending to the update extent you will be guided through the process by a graphical user interface and / or a command window. A update may concern the application and / or the license file. After the update process you have to restart the SGE Circus. If you do not have sufficient write permissions for the installation directory of the SGE Circus or for other reasons the directory cannot be changed during the update, the update process will offer you to automatically move the SGE Circus into a writable directory. You can therefore select a new directory. Existing shortcuts and start menu items will not be adjusted to the new directory automatically. Make sure to customize existing shortcuts and start menu items to use the new directory. You can activate a usage statistic for the SGE Circus tools usage the corresponding menu item in the SGE Circus. The usage statistic is deactivated by default. The collected data can only be viewed using the SGE Circus itself and is not transmitted to any other computer. Different views are available to analyze the data collected. The process of extracting the components to a temporary directory during first startup lasts some time. If the temporary directories on your system get deleted frequently this is done every time you start the SGE Circus. To avoid this performance loss you might declare the environment variable “MCR_CACHE_ROOT” pointing to a fast accessible permanent location. This might be done in your operating system or using a batch file that declares the environment variable and starts the SGE Circus afterwards. rem without MCR Matlab Compiler Runtime installed. rem The SGE_Circus.exe file must be located in the same directory. echo Press enter to exit. rem Define MCR cache root environment variable. rem Set environment variable only in case of no error. rem Otherwise MCR will not start. echo "### Error creating MCR_CACHE_ROOT directory. ###"
rem Modify PATH environment variable. rem Activate line matching the OS configuration. rem contains spaces it must be enclosed in "". If you are using single tools from the SGE Circus frequently and want to create e.g. a shortcut to start them directly, you can do this by passing the name as an argument to the SGE Circus executable file. The name must be exactly equal to the string written onto the corresponding button in the SGE Circus enclosed into “”. You can associate file endings like *.fig and *.mat or any data file format in your operating system with the SGE_Circus.exe. Afterwards the SGE Circus is started automatically to load these files when they are opened e.g. by double clicking. During the installation long lasting tasks and downloads are performed. Sometimes no progress is visible during these tasks. Please be patient and wait for the installation to finish. Start a command window from the operating system Start menu. Change to the directory containing the SGE_Circus.exe, for example by entering “cd %AppData%\SGE_Circus” and pressing Return. Increase the logging verbosity by entering “set MCR_CACHE_VERBOSE=1” and pressing Return. Enter “SGE_Circus.exe”, press Return and survey the message output. If other software using Matlab Compiler Runtime is installed probably the environ­ment variable MCR_CACHE_ROOT was set by the software to a location not accessible by the SGE Circus. Make sure that the location the environment variable points to is accessible or create a batch file to set the environment variable to a accessible location and start the SGE Circus afterwards. See the SGE Circus manual for further information. Refer to “4.9 Startup performance“. The SGE Circus and its tools save information between sessions. For example color settings, window positions and recent paths are remembered. This information is kept in a preference file. No information is written to the operating system registry. For performance reason the preferences are kept in memory. They are stored to file only from time to time and when terminating. Therefore it is important to terminate the SGE Circus and wait until the preferences are stored to disk. Do not terminate the command window before this process finished. The location on disk where the preferences are stored is automatically arranged by the SGE Circus. Several standard locations will be checked and the first appropriate one is used. This could for example be paths defined in the environment variables %APPDATA% and %USERPROFILE% or the directory of the executable file. The actual location can be displayed using the “Manage preferences” functionality – see below. The SGE Circus would be inoperable if no preference file could be stored. It is therefore terminated if the preference file cannot be created in any of the standard locations. In this case you should make sure to have a writable location defined in the environment variables mentioned above or in the directory of the executable file. In the ...-menu of the SGE Circus you will find a “General preferences” and “Import / export / cleanup preferences/history” entry. Here you can specify some general settings. You can modify the proceeding when preference instance conflicts occur. For details see section “5.4 Preferences instance conflict“. Preference/history data will expire after this period in days and will be deleted unless it has been used again in the meantime. Set to a reasonable value to increase the performance of preference/history data handling. Leave empty to keep the preference/history data permanently. In some cases a backup of the preference/history file is automatically created - e.g. before merging a preference conflict. These backup files can be deleted automatically after some time. Choose the time to keep preference/history files here in days. Leave empty to keep the backup files permanently. The preferences/history loading time is measured internally. If it exceeds the time threshold defined here you will be automatically asked to clean up preferences. The instance data exchange merges the preferences/history data when multiple instances of the SGE Circus are running in parallel. It is necessary so that the data of one instance is not overwritten by another, but so that the data complement each other. Turning off this feature is likely to result in the loss of preferences/history data. It is only recommended if you do not want to wait for the transfer and want to accept the loss of preferences/history data. It is necessary to make this setting in all running instances. A query dialog allows you to select one of several predefined answers. To apply the same answers repeatedly, you can remember the query dialogs answer and then use them automatically without being displayed again as a dialog. Use this button to configure this feature. For details see section “Query dialog“. 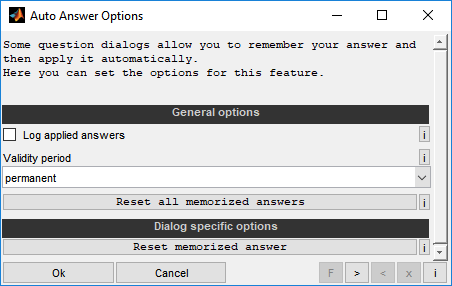 If you want to reset individual memorized answers to re-display its query dialog, you can use this configuration option and apply a short validity time. All dialogs will then be displayed again and you can reset the memorized answer in the options of the dialog. Afterwards you set the previous time here again so that all other memorized answers are applied again. When you experience problems with the graphics display you can try to enable one or more of the graphics driver bug workarounds. Before modifying the settings you should try to solve the problems by updating your graphics driver software. By default the graphics configuration is chosen automatically. OpenGL is used if available as well as hardware acceleration. If you experience problems with the graphics display you could try to use another setting. Before modifying the OpenGL setting you should try to solve the problems by updating your graphics driver software or by activating a graphics driver bug workaround. See the previous section for details. A restart will be required to make a graphics setting change apply. The interval to perform an automatic check for updates of the SGE Circus can be modified. The automatic check can also be turned off. It will be still possible to start the update manually using the corresponding menu items. The interval does only apply when an available update was declined by the user. In case of successful updates the check will be done regularly except if turned off by this setting. For details see section “Update”. The license file can specify the update source to be a internet server or a local/network directory. In case a directory is specified it can be overwritten with a user setting. Insert the full path of the directory where the update containers will be located in case updates are available. Leave empty to use the default setting from the license file. Some dialog require multiline input that can be modified by an external editor. You can select between different file types to use for external editing e.g. to support syntax highlighting. Choose the decimal separator to use when saving ASCII / CSV data files and when copying to the clipboard. File open and save dialog provide a history to ease the access to commonly used files and paths. When you are prompted to select a file to open or save you can just Cancel the dialog or hit the Escape key. The dialog will close and reopen again with the next path from history. See “File / path dialog ” for details. The maximum number of paths/files maintained in the history can be adjusted. By setting the value to 0 the the path/file the history feature will be turned off. Choose whether to to cache data loaded from files in memory to speedup recurrent access. Turning off this option will lead to reduced performance but may help to avoid Out Of Memory errors. Choose whether to enable the display of icons for some menu items. In some operating system configurations this may lead to problems and may be therefore turned off. The initial creation of the menu icons lasts some time. So turning off the menu icon display will increase the startup speed of the SGE Circus tools. Turning off the menu icons will also turn off the tooltips of the menu entries. It is possible to export / import all preferences/history to / from file. This can be used to backup and restore preferences/history and to transfer preferences between users and computers. Additionally a restore is available to reset the preferences/history to one of the automatically created backup versions. Large sets of history data slow down the application. Therefore it is possible to delete history data by age. Additionally you can move preference/history backup files to the recycle bin by age. While deleting preference/history backups does not affect the actual used preferences/history you should be aware that deleted history data is not available any more. So you should only delete history data older than that point of time you want to refer to using the history. 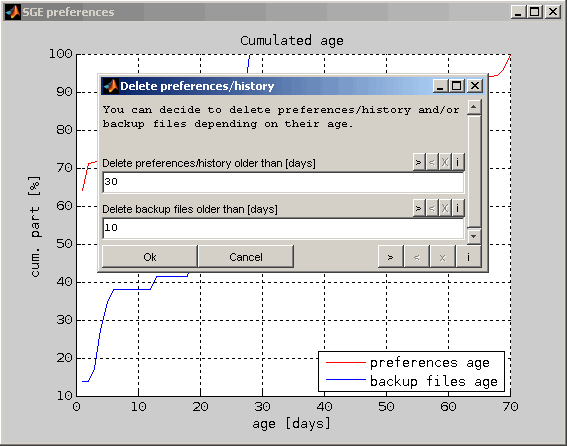 From the graphical view you can determine the quantity of preferences/history and backup files correlating to its age and decide the age to delete preferences and backup files from. The preferences/history loading time is measured internally. If it exceeds a threshold you will be automatically asked to clean up preferences. The time threshold can be modified in the “Settings” menu in “Manage preferences”. Before the clean up a backup of the preference file is done in the preferences directory. This can be restored just in case via the preferences menu. The file used to save all preferences and history information of the SGE Circus and its tools is shown. Additionally the directory to store the internal Matlab preferences and the directory used to extract the executable components to are displayed. If you operate multiple SGE Circus instances at a time you will probably run into conflicts between the preferences/history in memory and saved to file. This will happen for example if one instance has just saved its preferences to file while another instance is modifying it in memory and try to save later. It will then detect the conflict and let you decide how to proceed. The preferences/history in memory will be kept and the ones from file will be overwritten. Any preferences/history in the file that are newer than in memory will get lost. The preferences/history from file will be reloaded and the ones in memory will be discarded. Any preferences/history in memory that are newer than in the file will get lost. For each preference/history entry the newer one from file and memory will be kept. If checked you will not be asked again in case of preference conflicts. The chosen decision will be applied automatically. If you want to modify the proceeding you can do this with the “Settings” menu in “Manage preferences”. In any case a backup will be performed before applying any changes. You will find the backup files in the same directory as the preferences file and you can restore the backups using the “Export / Import / Restore” function in “Manage preferences”. You can choose whether to enable the display of icons for some menu items. In some operating system configurations this may lead to problems and may be therefore turned off. In the ...-menu of the SGE Circus you will find a “Manage preferences” entry that enables to turn on / off the menu icon display. A restart will be required to make the setting change apply. The single SGE Circus tools provide a toolbar at the upper window border to easy and speed up the access to frequently used functionality. The display of the toolbar can be turned on / off for the single tools individually using the corresponding menu entry (e.g. “View” → “Toolbar”). The toolbar can be configured. Unneeded icons can be removed and missing icons can be added. To start the toolbar editing use the corresponding menu entry (e.g. “View” → “Toolbar”). The upper area shows the actual toolbar configuration and the lower area shows the icons available. Drag an icon from the lower area to the desired position inside the upper area using the mouse. Drag icon to remove from the lower area to the upper area using the mouse. Drag an icon to the desired position inside the upper area using the mouse. By default the graphics configuration is chosen automatically. OpenGL is used if available as well as hardware acceleration. When you experience problems with the graphics display you should first check if an update for your graphics driver software is available from the computer or graphics hardware manufacturer. 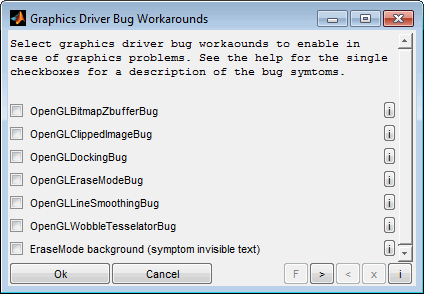 If the problem still exists you can try to enable one or more of the graphics driver bug workarounds or to modify the OpenGL setting. See the section “Settings” for details. In the ...-menu of the SGE Circus you will find a “Manage preferences” entry that enables to modify the graphics configuration. Since the SGE Circus offers to open a considerable number of windows an automatic window handling feature is implemented. Using the corresponding menu item enables to arrange all or a subset of the windows of the current session. This feature enables to close visible and invisible windows automatically. Select which windows to close. The windows will be closed without saving anything and without any further confirmation. Visible and invisible windows will be listed separately. This feature enables to automatically set windows to fixed sizes or to maximize, minimize and restore them. Select which windows to resize. Select the desired window size. It is possible to maximize, minimize and restore windows. Additionally a set of fixed standard sizes are available. This feature enables to automatically arrange windows. Select the layout of the arrangement. It is possible to maximize, minimize, restore or close all selected windows. Additionally column and row based layouts are available. Example: "2-3 of 5 rows" means that the screen is split into 5 rows and the second and third row is used for the layout. Select the target monitor for the windows to arrange in case of multiple monitors are connected to the computer. Select which windows to include into the arrangement. This feature enables to automatically toggle windows to create kind of a movie. This can be used to compare windows. Select the the time to wait before activating the next window. If enabled the windows will be maximized before toggle to ensure identical size. Select which windows to toggle periodically. As mentioned the SGE_Circus.exe is used to start the main application that is then used to start single tools like the DataArtist or MapArtist. It is possible to start multiple equal or different single tools from one SGE Circus application because the window stays visible. So for example you can work with multiple MapArtists at one time. This is called single-process-mode. Alternatively you could start multiple SGE Circus applications each used to start just one tool (multi-process-mode). Both strategies have advantages and disadvantages as shown in the following table. Single-process mode is generally recommended as it avoids preference conflicts. Multiple tools share preferences that are saved at runtime. E.g. colors of lines and maps. All tools keep separate preference sets in memory. They are not exchanged until both main applications are restarted. 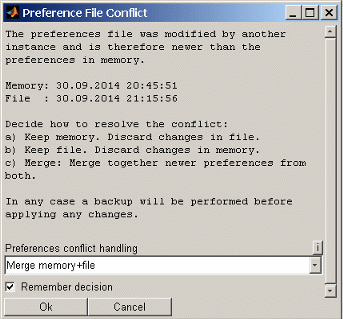 Conflicts may occur when saving preferences to file. No. All tools are calculated by one processor core. Blocking actions (e.g. waitbars) block all tools. Yes. Main applications and therefore tools are calculated as separate processes and use multiple cores. They do not block each other. File open and save dialogs are used for various functionality and therefore offer some extra features to easy the file handling. To ease the access to commonly used files and directories all file handling dialogs offer buttons to quickly jump though a list o recent directories. This list of recent directories gets refreshed every time a file is saved or opened. The number of directories maintained in the history can be adjusted via the “Settings“. The file open dialog offers a checkbox to enable a preview figure that allows to quickly judge the content of the selected file. Three modes are available, which can be activated by selecting them in the drop-down menu. The preview is automatically updated when a file is selected if the corresponding checkbox is active. With large files it can be recommended to switch off the automatic update, since loading the data for the preview can take a long time. If the automatic update is switched off, the view can be updated manually with the corresponding button. The data preview makes it possible to visualize the data already during the file selection. The channels to be displayed as well as all known settings when loading the data can be applied. It is also possible to use calculated channels. The display can be configured for this purpose. In the graphic itself it is possible to mark channels as well as to zoom and pan the view. Additionally a data tip is available when clicking to a channel with the mouse display data values. The “Configure...” button takes you to the settings that apply to the entire view. Press the button to select the channels and calculated channels to include into the preview. Afterwards the data loading options will be asked automatically. When the option is activated the X range of the preview will be adjusted according to the loaded data automatically. When deactivated the X range will be remembered and applied when data is loaded. When the option is activated the Y range of every channel will be adjusted according to the loaded data automatically. When deactivated the Y range will be remembered and applied when channels with the same name are loaded. Double-clicking on a channel opens a menu for configuring its settings. Choose the Y-axis range to display. Insert two numeric scalar values separated by a space. The range of the loaded data is shown to easy the selection. Press the button to select the line color. 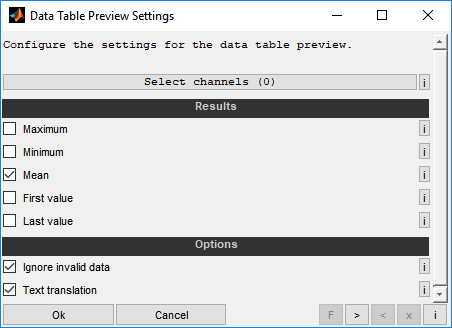 The table view displays data from the file or calculation channels in the same way as the graphical view. These are displayed in tabular form and it is possible to display different results of the channels, e.g. the maximum. The “Configure...” button takes you to the settings that apply to the table view. Select the result of the channels to include into the preview. Specify whether to remove invalid (NaN) data before calculating the results. Specify whether to apply text translation of numeric channel values if available. In the comment Preview the measurement file comments are displayed in text form. The view can be influenced by the available options. Set the number of lines to remove at the beginning of the comment. Set the maximum number of lines to display. Do not increase too much to avoid slowdown in case of very long comments. 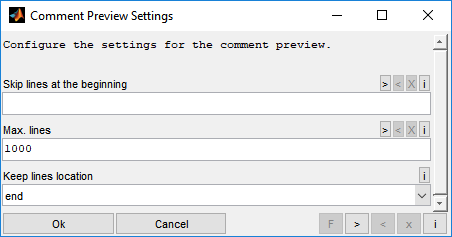 Obeye the next setting to specify whether to keep the lines at the start or end of the comment. Specify whether to keep the lines at the start or end of the comment to reduce to the desired maximum line number. 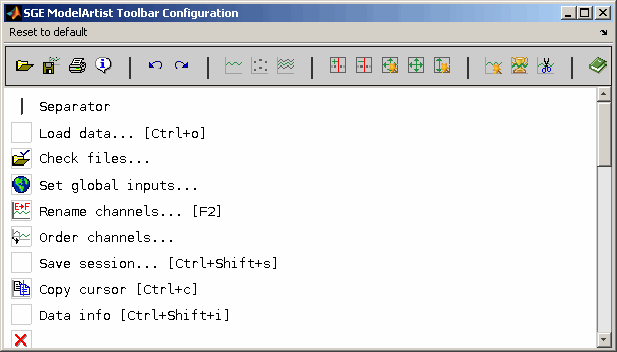 Two main kinds of input dialog are used commonly by all tools. A list input dialog and a field input dialog. List dialog allow to quickly choose one or more entries from a prefilled list. The available elements are listed on the left side. By pressing characters on the keyboard the filter is written and applied. Use * as a wildcard character. Also a list of recent filter setting is available. Elements are selected by “space”. For quick selection of all elements on the left side use “Ctrl+a” and for quick removal of all elements from the right side use “Ctrl+del”. After selecting an element the filter is reset when the first character is pressed. When confirming the dialog the elements listed on the right side are regarded as chosen. If no elements are listed on the right side the marked elements on the left side will be regarded as chosen. The list dialog may provide additional information when an entry is selected in a tooltip. In this way, for example, the description and raster of measurement channels and the names of the calculation channels assigned to the ** calculated channel ** placeholders can be determined. List dialog inputs can be exported to a text or binary file and also be filled by a file. As also this functionality is available via shortcuts it it very easy to keep records of the work done with are inputs saved and also to redo some work by filling the dialog from file. You will be asked whether to replace the list with the clipboard content or to add / remove the elements. List dialog can also be managed from clipboard if the clipboard contains a list of strings. You will be asked whether to replace the list with the clipboard content or to add / remove the elements. Move selected elements from active list to other side. Add all items from left to right list. Copy right list to clipboard. Remove all items from right list. Fill from history linked to the recent window. Load next list from history. Load previous list from history. 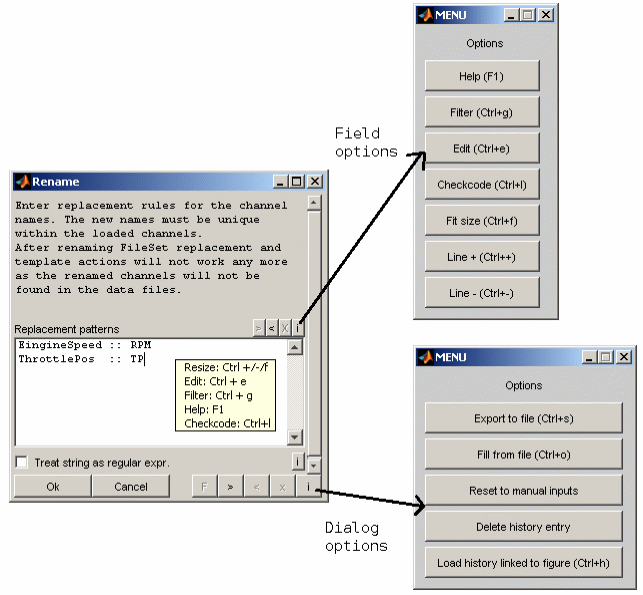 Field input dialog consist of check boxes, drop down fields and single- or multiline input fields. In most fields that accept numeric input you can enter numbers or expressions that evaluate to a valid number (e.g. 1/10, 1+2). Generally you must use a point as decimal separator – especially when you enter expressions that evaluate to a number, e.g. “1.5+2.5”. When entering a single number you can also use a comma, e.g. “1.5”. Open content in external editor. Format can be chosen in global preferences. To do your work efficiently the dialog assist by providing history functionality. So every time you confirm a dialog its inputs are remembered. The next time you use the dialog the fields are prefilled. But of course you do not need just the last value again. So the single input fields as well as the whole dialog provide history buttons > < x. With the > < buttons you can shift through history. With x you can delete a history entry. 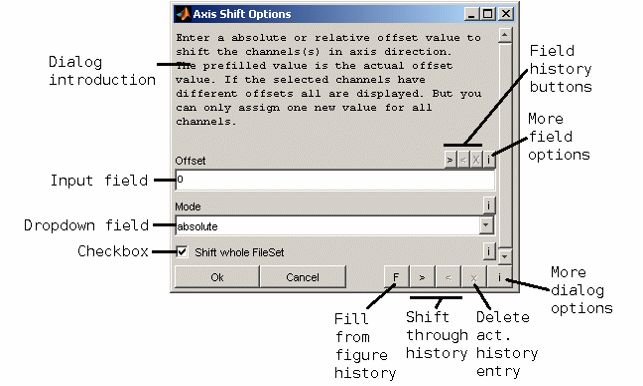 While the buttons right of the single fields shift only the value of the field, the buttons on the right bottom edge shift all fields simultaneously. Really quick you get when using the shortcuts Ctrl+right/leftarrow. Additionally the dialog provide a feature to fill them from a history linked to the actual figure window (session). So when you open a session and e.g. 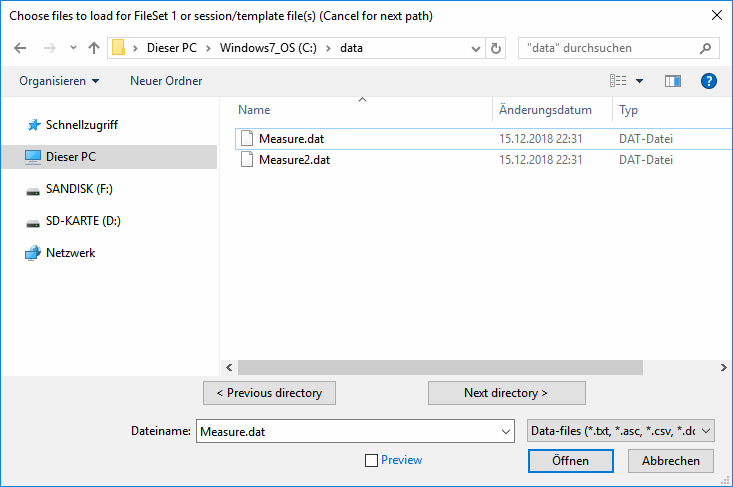 want to reload the data the dialog can be filled with the same values that were used to create the session even if in the meantime the dialog was filled with different values. The feature is accessible using the F button near the history buttons or using a keyboard shortcut. A query dialog allows you to select one of several predefined answers. To apply the same answers repeatedly, you can remember the query dialogs answer and then use them automatically without being displayed again as a dialog. If you activate the checkbox below and then select an answer, this dialog will not reappear but the answer will be applied automatically. Some options for configuring this function are available. If this option is enabled, automatically applied answers are logged in the log file. You can decide how long you want the memorized answers to be valid. If the query dialog is called again within this time, the answer is automatically applied without the dialog appearing. If the query dialog is called again after this time has elapsed, the dialog reappears. Automatic answers are re-triggering the timer. If you want to reset individual memorized answers to re-display its query dialog, you can call this configuration dialog from the SGE Circus preferences and apply a short validity time here. All dialogs will then be displayed again and you can reset the memorized answer in the options of the dialog. Afterwards you set the previous time here again so that all other memorized answers are applied again. This function allows you to reset the all memorized answers so that all dialogs appear again for query. This function allows you to reset the memorized answer for the current query dialog so that the dialog appears again for query. Some more options are available using the i button for single fields or the entire dialog. These are also accessible by shortcuts. Part of these options depend on the kind of field and are not available for all kind of fields. Most fields provide a help dialog describing the functionality in detail and provide examples. You can define a filter string to apply when walking through the history. Only entries that contain this string will be regarded when you switch through the history. Enter a simple substring without using wildcarts like *. You can also enter a regular expression if you check the corresponding option. If a filter is active the background of the corresponding i-button is darkened. Example: If you remember that you once entered a channel name that included the string "interp" you could this string and then walk through the history using the <> buttons or keyboard shortcuts. Only matching entries will be shown. All inputs of the entire dialog can be exported to a text or binary file and also be filled by a file. As also this functionality is available via shortcuts it it very easy to keep records of the work done with are inputs saved and also to redo some work by filling the dialog from file. If the list already contains elements you will be asked whether to replace them or to add / remove the new elements. List dialog can be additionally be filled from clipboard. If the clipboard contains a list of strings matching listbox elements they get selected and listed on the right side. If the list already contains elements you will be asked whether to replace them or to add / remove the new elements. In case of a multiline edit field the size can be adjusted by adding / removing a line or fitting the size to the entered text. If you prefer to edit text with your favorite editor you can do this easily. A temporary file with the input is created and opened in the software that is set to be the default editor for *.txt-files in the operating system. To finish just save and exit the external editor. The content will be inserted to the input field and the temporary file gets deleted. In some cases the software provides a list of text strings that are expected to be commonly used in the input field. The chosen text from this list will be copied to the clipboard. You can then insert it into the input field using Ctrl+v shortcut. Use this feature to quickly set the value of all checkboxes of the entire dialog at once. In case the tool you will use provides the functionality to load data from files this section gives you a reference to the possibilities to do so. IFiles with same name in same directory are automatically loaded in parallel. Channels must be saved column wise. Values to load must be numeric. Data saved as mat-file by the SGE Circus may be reloaded. Also mat-files generated by other applications may be loaded. See the following section for details. Apache OpenOffice or Microsoft Excel must be installed. Emission testbench results and modal data. CAN signals. DBC description also necessary. WinTAX software must be installed and WinTAX license must support “TelDataX” API. Lap information may be available. In this case additional channels “LapNr”, “LapTime”, “LapProgress” will be provided. Indication files (combustion engine analysis). Mat files exported from Picoscope software. All data formats can be loaded also from zip containers. See below for details. Previous sessions saved by e.g. the MapArtist or DataArtist can be reopened. Data exported from e.g. 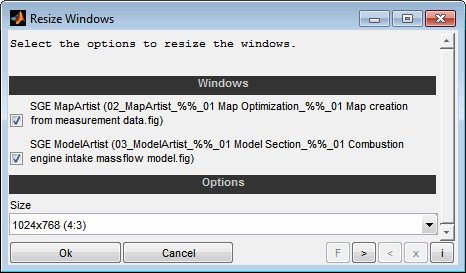 the DataArtist in mat-file format can be reloaded without any further user input to specify the variable names. 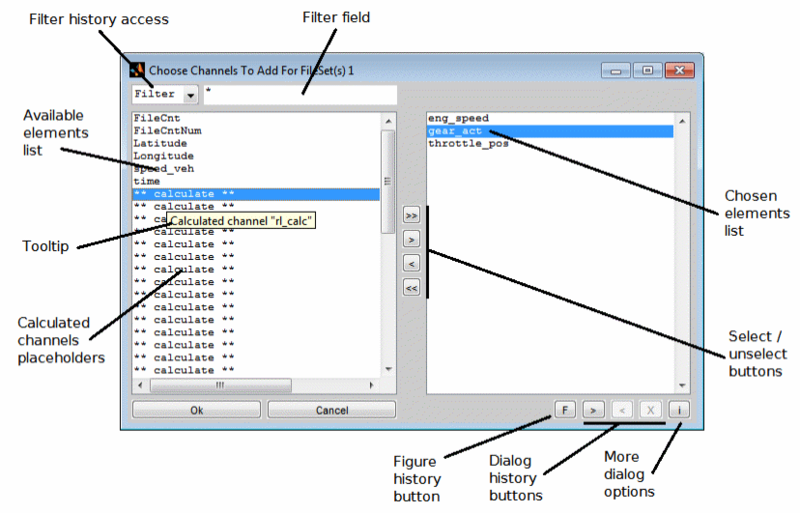 See the next section for details how to load Simulink simulation output. If the following variables are used to store the data it can be loaded without any further user input to specify the variable names. Cell array of unique channel name strings. Length must be equal to “data”. Cell array of channel unit strings. Length must be equal to “data”. Cell array of numeric vectors. Each vector contains the data of one channel. Cell array of one ore more numeric axis vectors. Each vector contains one axis. The correlation of the axes to the data is done in “channeltimeaxinds”. Numeric vectors with the indices of the axes in “time” to use for the channels in “data”. Length must be equal to “data” and the index of the first axis is 1. 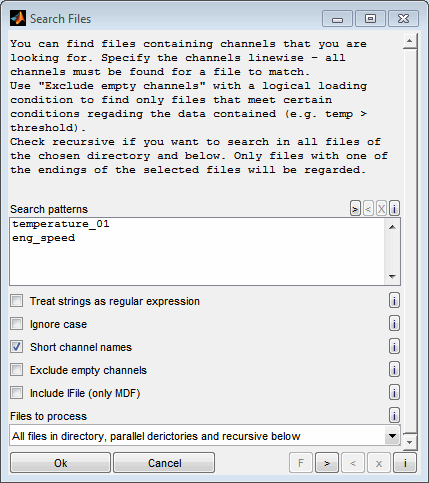 Generally data from mat-files can be loaded if it was saved in matrix format with channels column wise. The correlation of the variables will be asked. Using the "from MATLAB" object in calculation channels makes it possible to integrate data from the workspace from a running MATLAB instance using the COM API interface. 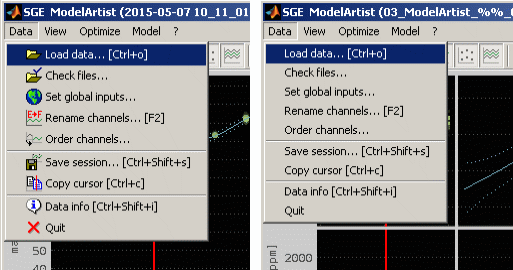 Simulink simulation data and Scopedata can be output to the workspace and saved to a mat-file. Use the “StopFcn” of the model properties to conveniently save the workspace to a mat-file after simulation stop. Simulink offers two ways to output data to workspace. Files are selected using the dialog of the operating system. To ease the access to commonly used files and paths a special history concept is provided. See “File / path dialog “ for details. When you are prompted to select a file to open or save and the prefilled path does not fit your needs, you can just Cancel the dialog or hit the Escape key. The dialog will close and reopen again with the next path from history. This can be done several times until the desired path it reached. When the last path from history is reached, this is shown in the file name field. All files must have the same format (like MDF3). If the files do not contain the same channels, they can still be loaded together. All channels of all files are offered for selection. If missing channels should be loaded in individual files, they can be filled by NaN (not a number). File links cannot be opened when multiple files should be loaded. The File Open dialog allows you to select files from a single directory at the same time. If you want to load files from several directories at the same time, see “Simultaneous multiple directory access” for details. When loading multiple files you will find an additional channels “FileCnt” and “FileCntNum” during channel selection. 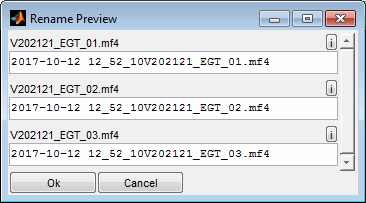 These channels are a counter that points at the file number loaded and enables you to see where files start and end during data evaluation. Depending on the application the data is loaded into the counter numbers may be translated into file names directly (“FileCnt”) or the correlated filenames are available from the channels comment (“FileCntNum”). Remember "FileCnt" and “FileCntNum” can only be loaded together with at least one valid data channel at the same time – so when “FileCnt” or “FileCntNum” should be added at a later time another channel must be loaded in parallel. In addition to using the file load dialog, you can load files by using drag and drop or the clipboard. To do this, one or more files can be dragged directly to the SGE Circus or an open session or inserted via keyboard shortcut. It is also possible to copy files directly to the clipboard as well as strings containing the file names line by line. The supported file formats differ depending on the tool. Sessions and templates can be opened by all tools and the SGE Circus in this way. Drag & drop and the clipboard support to load files from multiple directories simultaneously. See “Simultaneous multiple directory access” for details. The File Open dialog allows you to select files from a single directory at the same time. If you want to load files from several directories at the same time, you can choose a way via drag&drop or the clipboard. The search field in the File Open dialog and in Windows Explorer offers the possibility to simultaneously display files contained in the current folder and all subfolders as search results. The desired files can be selected from these files and then dragged into the SGE Circus or one of its tools like the DataArtist. As an alternative for small data files they can be inserted into the clipboard via the context menu. This clipboard can then be inserted into the SGE Circus or a tool such as the DataArtist. All copied files will then be loaded from their respective folders. All data formats can also be loaded directly from zip containers. Multiple zip files can be selected at a time. All files from the zip containers (also in subdirectories) will be treated as if they were located in the top level of the structure inside the zip file. Therefore file names may become overlapping and will be modified automatically by adding an index. Depending on the file format additional settings may be asked as shown in the following figures for some file formats. You can decide not to load the complete file content but only parts of it. Therefore you can specify the minimum and maximum axis value to load. If you load multiple files at a time these values apply to every single file. For file formats that support lap information you can enter also a lap number in format "L<number>" like L3. This option may significantly increase memory usage ! You can decide to interpolate all loaded channels to a common X axis. This (new) axis is a intersection of all axes of all channels to load. Otherwise the data and axes are loaded as saved in the file(s) or generated by the calculated channels. A common X axis makes the creation of calculated channels much more easier because all channels will have the same length. So vector operations to add or multiply channels can be done simply without interpolation of one channel to the axis of another channel. On the other hand data samples will be created that to not exist in the measurement file(s). Some file formats do not support multiple axes (e.g. spreadsheet). This option is available for these formats anyway to decide whether calculated channels should be interpolated to the axis of the data or should be able to generate separate axes. To maintain the different sampling rates of a ECU in the loaded data you must uncheck this option. If your measurement file contains channels sampled with 10Hz and other channels sampled with 100Hz and you activate "common X axis", then all loaded channels will be interpolated to 100Hz sampling rate. Therefore the 10Hz channels will only contain every tenth data point from the file while the rest is created by interpolation. In a calculated channel formula you can then enter e.g. : "channel1_10Hz" + "channel2_100Hz". Without "common X axis" this operation would lead to an error because vectors with different length cannot be added directly. See the calculated channels help for further information regarding the topic. The sample step of the loaded data can be explicitly forced. Using this option automatically activates "common X axis" and is therefore done for all channels. So you can decide to load all data with an axis spacing of e.g. 10ms independent from the actual sampling rate of the file. 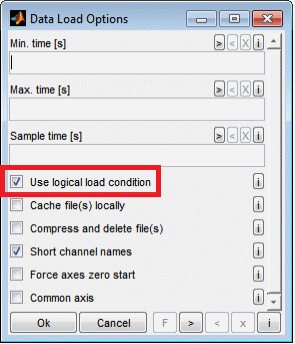 You can specify the parts of the file(s) to load by using a logical condition. Only data samples are loaded for which the condition is true. You can use this e.g. to load only data when the lambda closed loop control is active. The condition will be asked afterwards as a calculated channel. The logical load condition is applied after creating the calculated channels. So if you e.g. add a calculated channel evaluating the difference from one sample to the next to have the gradient and combine this with a logical load condition loading only every second sample of the data, the gradient will be calculated based on all samples but only displayed for every second. Loading data from network files may be slow in case of frequent seek and read operations. If this option is selected all data files will be copied to a local temporary directory before accessing. Additionally they will be reused in case of redundant file access. The temporary files will be deleted when terminating the SGE Circus. Use this option if you experience slow access to network files. This option will disable the “Combined MDF – IFile loading”. This option is intended to compress the files to load to one zip container before loading the data. After compressing the original files will be deleted. The filename of the zip container is defined automatically and will not overwrite any existing file. This options does only apply if none of the files to load is already compressed. You can decide to remove all unneeded information from the channel names. These are e.g. device names like "\\ETK:1". The names are only shortened as long as they stay unique for the actual file. You can decide to move the axes to start at zero. This is especially useful if the loaded data is reduced by a min. value or logical load condition that result in the axis start at values greater zero. Enable or disable the thermodynamic offset correction.. This option must always be enabled except you know what you are doing. Choose whether to apply the cylinder individual TDC offsets to the axes. If enabled the single cylinders will have individual axes shifted by their TDC offset. If disabled all cylinders will have the same axis with a range 0..1 for one cycle. If enabled the result values (like PI) will be placed at the beginning of the cycle. Otherwise they are placed at the end where they are calculated. This option can be used to have the result available during the cycle e.g. for calculated channels. If IFiles are automatically loaded in combination with MDF-files this option is activated automatically. Choose the sheet of the spreadsheet file to load the data from. Choose the data section of the VTS file to load the data from. 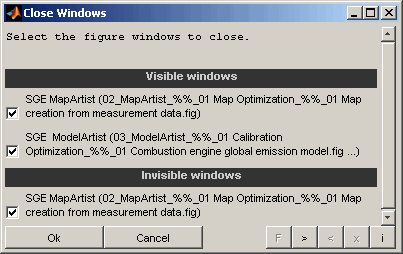 This may be for example time based modal emission data or phase result. Select the DBC description file(s) for the data files to load. In case multiple DBC files are needed add additional buttons using the "+". If the message Ids are not unique you must obey, that the order of the DBC files selected here matches the measurement configuration channels. 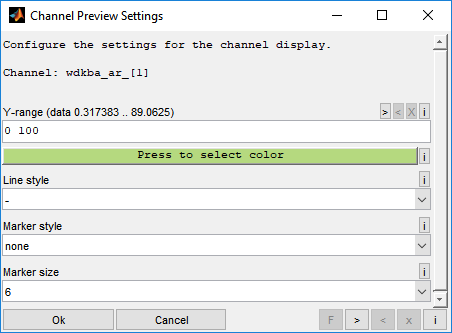 To ignore channels abort the DBC file select dialog. This will result in a "(channel not used)" button. Choose the field delimiter for text files. Normally you should try "automatic". In case of problems loading the data you can choose the delimiter manually. The delimiter is the ascii character that separates the columns in the file. Most commonly tabs or semicolons are used. Choose the quote characters for text files. Leave empty if not necessary because it slows down the data load process extremely. This is the character text is enclosed in. Inside this quoted strings delimiters will be ignored. If you have quoted characters in your file you do not necessarily need to choose it here. You only need this option if you have delimiters inside the quoted text. You can decide to create text conversion rules for not numeric channels. When enabled not numeric values (= strings) will be converted to arbitrary numeric values and a corresponding text conversion rule is created. This enables to load not numeric channels. Some tools support to display the text conversion - like the DataArtist. If you load big amounts of data at a time and your computer does not provide enough memory you will experience “Out of Memory” errors. The limiting factor may be the total available memory as well as the biggest continuous memory segment left because it limits the maximum array size MATLAB can create. Try to avoid the “Common X axis” setting without using “Sample time/step” setting. In this case all channels are interpolated to all axes and therefore the data point number and memory demand increases a lot. Use the “Sample time/step” setting. This may help to reduce the data point number and memory demand for channels with high sampling rates. Load only the required axes sections. Exit all applications before starting the SGE Circus to maximize the continuous memory segment. Turn off the “Cache file data in memory” option in the SGE Circus preferences – see “Settings“ for details. To maximize the continuous memory area on 32bit systems MATLAB Memory Shielding can be used. Create a batch file similar to the following example. Different shield levels are available. Higher levels assure more continuous memory but may fail to start the application. Then use the batch file to start the SGE Circus instead of the executable. rem on 32bit systems instead of directly starting the exe. rem Uncomment one of the following lines and comment the previous line. rem Double "" "" are necessary then. MemShieldStarter -shield minimum SGE_Circus.exe ""%~1""
rem MemShieldStarter -shield medium SGE_Circus.exe ""%~1""
rem MemShieldStarter -shield maximum SGE_Circus.exe ""%~1""
Often ECU measurements are done simultaneously to indicating measurements. To have both data available for evaluation both files are loaded at a time. You can select just the MDF-file. In the channel selection dialog you will also find the channels from the IFile. The synchronization of the angular based IFile data to the time based data is done automatically. To have the angular information still available two additional channels are created automatically. “CrankAngle”, “CrankAngleCum”, “CrankAngleNorm” and “CrankAngleNormCum” show the absolute and relative angle during combustion cycle. The “CrankAngleNorm” range is from -0.5 to 0.5 for every combustion and “CrankAngleNormCum” accumulated for the whole measurement. The MDF-file must contain the channel CYCCNT for crank angle based measurement or TIME_SYNC for time based measurement. The IFile must be located in the directory of the MDF-file. The IFile is chosen by name (same as the MDF-file except ending) or the file date if file names are different. Your measurement files contain channels you want to analyze. But sometimes it is helpful to have additional channels available depending on the measured ones. For example you want to look at a filtered engine speed because the measured one is noisy. Or you have measured an air temperature before and after intercooler but you really want to know is the difference of these two. Therefore you have the possibility to create calculated channels. During channel selection you will find channel names like “** calculated channel **” The appended names are calculated channels from the history that will be used to prefill the calculation that can be edited afterwards. When you select at least one of them you will be asked to edit the calculations afterwards. 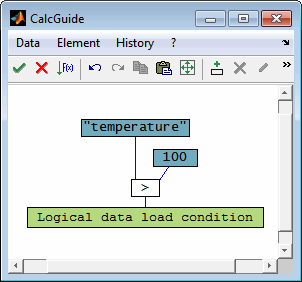 By pressing the single buttons for the calculated channels the CalcGuide tool will be started and allows to manipulate the calculation in a graphical manner. Depending on the application there may be additional buttons on the right side (+,x,^,v) to dynamically add or remove calculated channels or to modify their order. By editing the result block you can enter the name and unit for a calculated channel. See the CalcGuide documentation for details. Useful support functions are provided under this menu item. Search for files containing channels that you are looking for that you are looking for or that meet certain data conditions (e.g. temperature exceeding threshold). Several options, regular expressions and recursive search are supported. You can use search rules for the channel names. One rule per line. A file matches if all channels are found in it. The strings entered must be found exactly. No wildcard like * is allowed.' For more sophisticated requirements, use regular expressions. If enabled the strings are interpreted as regular expression. If enabled the case of the search strings is ignored. If enabled short channels names are loaded from file for the search. 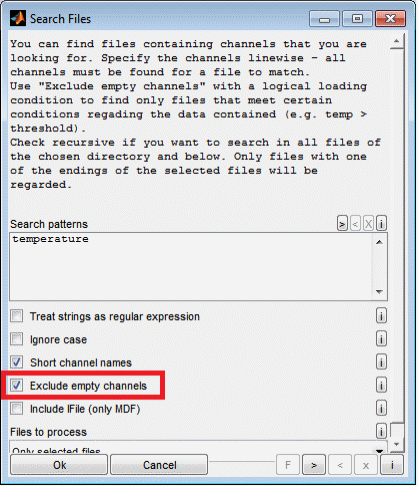 If enabled channels to find must not be empty. In this way, a very extensive possibility is available to find files that meet certain conditions regarding the contained data - e.g. temperature above a threshold. By using the logical loading condition, channels can be created which are empty if the desired conditions are not fulfilled. This means that the files will not be found. 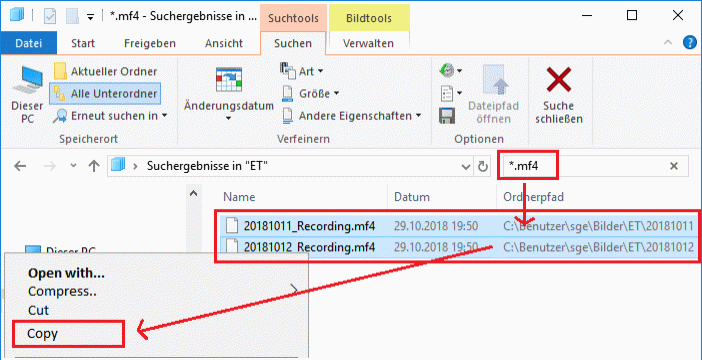 If enabled correlating IFiles als loaded with the MDF-files to get their channels also. Decide whether you only want to process the selected files or automatically include files from neighboring or underlying directories. This tool supports to create a graphical preview of data files. The channels to be displayed and the various options for configuring the view are queried. A data cursor is available via mouse click to a signal and allows to inspect single data values. Choose the height of the single axes for each file. Select the font size to use for legend and filename. Sort criterion for the plot order of the files. If enabled the extrema of the curves are marked with a * for each file individually / globally. Decide what should happen if the filename is double clicked. Options are show to or edit the measurement comment. Enabled: All curves will have the same y-axis. The part of the y-axis covered by the single channels therefore differs and depends on the physical range of the values. Disabled: Each curve is individually scaled to 0..100% to cover the entire y-axis range. The y-scale is always the same for all files. Apply also to all files with other endings. If enabled files without data loaded (all channels missing) will not be shown. 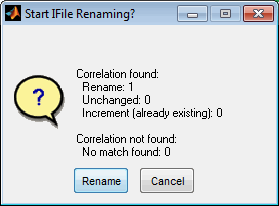 Rename files automatically using pattern matching. Several options and regular expressions are supported. 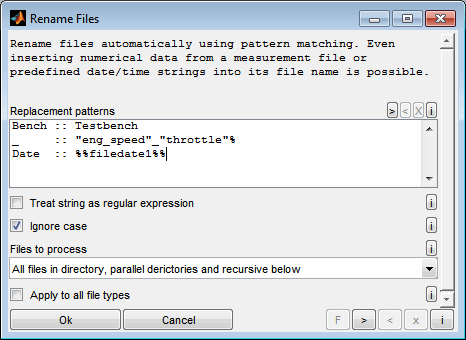 Even inserting numerical data from a measurement file or predefined date/time strings into its file name is possible. You can use replacement rules for the file names. One rule per line. The string to look for and the replacement are separated by two colons, like "Bench :: Testbench". The replacement is done in the order of lines from top to bottom and applies only to the filename without ending. You can insert numerical mean values of the channels loaded by escaping them into "". The numeric value used is always the mean value of the entire loaded data. Use calculated channels, logical load conditions and so on afterwards to modify or round the data to use. If enabled the case of the replacement strings is ignored. Apply also to all files also with other endings. 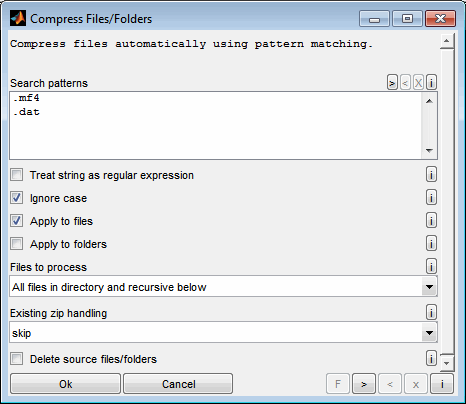 Compress files automatically using pattern matching. Several options and regular expressions are supported as well as recursive directory operation. You can use search rules for the file/folder names to compress. One rule per line. A file/folder will be compressed if any of the patterns is found anywhere inside the file/folder name incl. ending. Use regular expression to e.g. force a match at the end. If enabled the patterns are interpreted as regular expressions. If selected files matching the search pattern will be compressed. If selected folders matching the search pattern will be compressed. Decide whether you only want to process the selected directory or automatically include files from neighboring or underlying directories. Decide how to act if a zip file to create already exists. Decide whether to delete the source file/folder in case of successful compression. 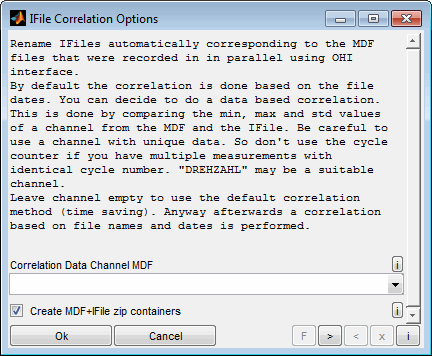 Rename IFiles automatically corresponding to the MDF files that were recorded in in parallel using OHI interface. You can choose a channel to use to correlate the files. Choose the MDF-channel here. By default the correlation is done based on the file dates. You can decide to do a data based correlation. 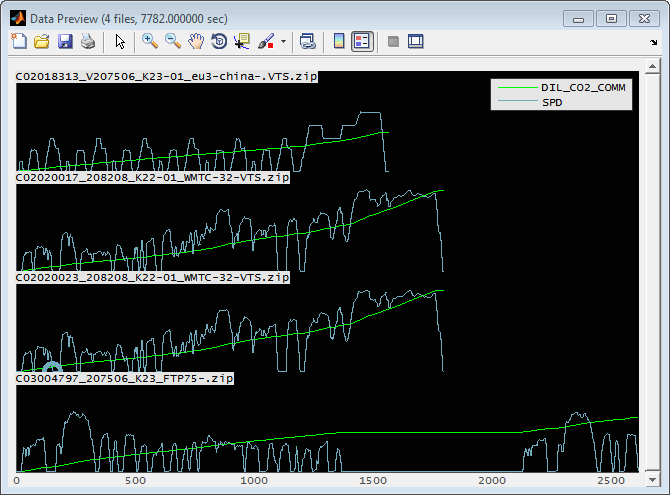 This is done by comparing the min, max and std values of a channel from the MDF and the IFile. Be careful to use a channel with unique data. So don't use the cycle counter if you have multiple measurements with identical cycle number. "DREHZAHL" may be a suitable channel. Leave channel empty to use the default correlation method (time saving). Anyway afterwards a correlation based on file names and dates is performed. When using this option later on you will be asked to select the corresponding channel from the IFIles. You can decide to not only rename the IFiles but also to create zip containers for each MDF+IFile combination. The MDF and IFile will be deleted afterwards. 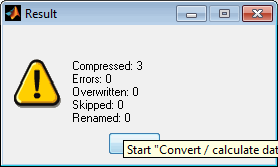 This tool is used to convert data files. You can load any number of files and change the data format, sample rate or axis range, for example. The result can be saved in the form of individual files or an entire file. Choose a target file format. "None" will save no file but just execute the data loading procedure. This can be used to create calculated channels with visualization objects for example. Select the directory to generate the target files in. The target files will be created in the directory where the source file was read from. A target directory will be asked. The target files will be created in this directory. Use this option for example when the source directories are write protected. This string is added to the source filename before the ending to create the target filename. If the file already exists a counter will be appended. Choose whether to include all channels from the file(s) or choose the channels to include manually. This option must be active to include calculated channels. If checked all loaded files are concatenated together to one file. This option is only useful if multiple files were chosen or loaded by recursive action and must be used together with "Select channels manually". Decide whether to compress the target files. Decide whether to overwrite existing files or to automatically modify filenames to avoid overwriting existing files. Since the SGE Circus offers to open a considerable number of windows an automatic window handling feature is implemented. 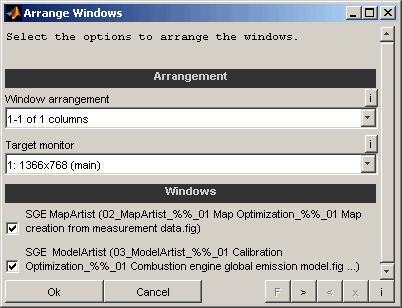 Using the corresponding menu item enables to arrange all or a subset of the current windows. The SGE Circus includes Third Party Software as shown in the following list. Copyright (c) 2016, The MathWorks, Inc. In all cases, the software is, and all modifications and derivatives of the software shall be, licensed to you solely for use in conjunction with MathWorks products and service offerings. Copyright (c) 2005-2015 Carl Edward Rasmussen & Hannes Nickisch. All rights reserved. THIS SOFTWARE IS PROVIDED BY CARL EDWARD RASMUSSEN & HANNES NICKISCH “AS IS” AND ANY EXPRESS OR IMPLIED WARRANTIES, INCLUDING, BUT NOT LIMITED TO, THE IMPLIED WARRANTIES OF MERCHANTABILITY AND FITNESS FOR A PARTICULAR PURPOSE ARE DISCLAIMED. IN NO EVENT SHALL CARL EDWARD RASMUSSEN & HANNES NICKISCH OR CONTRIBUTORS BE LIABLE FOR ANY DIRECT, INDIRECT, INCIDENTAL, SPECIAL, EXEMPLARY, OR CONSEQUENTIAL DAMAGES (INCLUDING, BUT NOT LIMITED TO, PROCUREMENT OF SUBSTITUTE GOODS OR SERVICES; LOSS OF USE, DATA, OR PROFITS; OR BUSINESS INTERRUPTION) HOWEVER CAUSED AND ON ANY THEORY OF LIABILITY, WHETHER IN CONTRACT, STRICT LIABILITY, OR TORT (INCLUDING NEGLIGENCE OR OTHERWISE) ARISING IN ANY WAY OUT OF THE USE OF THIS SOFTWARE, EVEN IF ADVISED OF THE POSSIBILITY OF SUCH DAMAGE. The views and conclusions contained in the software and documentation are those of the authors and should not be interpreted as representing official policies, either expressed or implied, of Carl Edward Rasmussen & Hannes Nickisch. You may copy and distribute verbatim copies of the Program's source code as you receive it, in any medium, provided that you conspicuously and appropriately publish on each copy an appropriate copyright notice and disclaimer of warranty; keep intact all the notices that refer to this License and to the absence of any warranty; and give any other recipients of the Program a copy of this License along with the Program. You may charge a fee for the physical act of transferring a copy, and you may at your option offer warranty protection in exchange for a fee. These requirements apply to the modified work as a whole. If identifiable sections of that work are not derived from the Program, and can be reasonably considered independent and separate works in themselves, then this License, and its terms, do not apply to those sections when you distribute them as separate works. But when you distribute the same sections as part of a whole which is a work based on the Program, the distribution of the whole must be on the terms of this License, whose permissions for other licensees extend to the entire whole, and thus to each and every part regardless of who wrote it. Thus, it is not the intent of this section to claim rights or contest your rights to work written entirely by you; rather, the intent is to exercise the right to control the distribution of derivative or collective works based on the Program. In addition, mere aggregation of another work not based on the Program with the Program (or with a work based on the Program) on a volume of a storage or distribution medium does not bring the other work under the scope of this License. The source code for a work means the preferred form of the work for making modifications to it. For an executable work, complete source code means all the source code for all modules it contains, plus any associated interface definition files, plus the scripts used to control compilation and installation of the executable. However, as a special exception, the source code distributed need not include anything that is normally distributed (in either source or binary form) with the major components (compiler, kernel, and so on) of the operating system on which the executable runs, unless that component itself accompanies the executable. If distribution of executable or object code is made by offering access to copy from a designated place, then offering equivalent access to copy the source code from the same place counts as distribution of the source code, even though third parties are not compelled to copy the source along with the object code. If, as a consequence of a court judgment or allegation of patent infringement or for any other reason (not limited to patent issues), conditions are imposed on you (whether by court order, agreement or otherwise) that contradict the conditions of this License, they do not excuse you from the conditions of this License. If you cannot distribute so as to satisfy simultaneously your obligations under this License and any other pertinent obligations, then as a consequence you may not distribute the Program at all. For example, if a patent license would not permit royalty-free redistribution of the Program by all those who receive copies directly or indirectly through you, then the only way you could satisfy both it and this License would be to refrain entirely from distribution of the Program. If any portion of this section is held invalid or unenforceable under any particular circumstance, the balance of the section is intended to apply and the section as a whole is intended to apply in other circumstances. It is not the purpose of this section to induce you to infringe any patents or other property right claims or to contest validity of any such claims; this section has the sole purpose of protecting the integrity of the free software distribution system, which is implemented by public license practices. Many people have made generous contributions to the wide range of software distributed through that system in reliance on consistent application of that system; it is up to the author/donor to decide if he or she is willing to distribute software through any other system and a licensee cannot impose that choice.This section is intended to make thoroughly clear what is believed to be a consequence of the rest of this License. The Free Software Foundation may publish revised and/or new versions of the General Public License from time to time. Such new versions will be similar in spirit to the present version, but may differ in detail to address new problems or concerns. Each version is given a distinguishing version number. If the Program specifies a version number of this License which applies to it and "any later version", you have the option of following the terms and conditions either of that version or of any later version published by the Free Software Foundation. If the Program does not specify a version number of this License, you may choose any version ever published by the Free Software Foundation. IN NO EVENT UNLESS REQUIRED BY APPLICABLE LAW OR AGREED TO IN WRITING WILL ANY COPYRIGHT HOLDER, OR ANY OTHER PARTY WHO MAY MODIFY AND/OR REDISTRIBUTE THE PROGRAM AS PERMITTED ABOVE, BE LIABLE TO YOU FOR DAMAGES, INCLUDING ANY GENERAL, SPECIAL, INCIDENTAL OR CONSEQUENTIAL DAMAGES ARISING OUT OF THE USE OR INABILITY TO USE THE PROGRAM (INCLUDING BUT NOT LIMITED TO LOSS OF DATA OR DATA BEING RENDERED INACCURATE OR LOSSES SUSTAINED BY YOU OR THIRD PARTIES OR A FAILURE OF THE PROGRAM TO OPERATE WITH ANY OTHER PROGRAMS), EVEN IF SUCH HOLDER OR OTHER PARTY HAS BEEN ADVISED OF THEPOSSIBILITY OF SUCH DAMAGES. Duplication, processing, distribution or any form of commercialization of the documents content beyond the scope of the copyright law shall require the prior written consent of the SGE Ingenieur GmbH. All trade and product names given in this document may also be legally protected even without special labeling (e.g. as a trademark). MATLAB, Simulink and Stateflow are registered trademarks of The MathWorks Inc., Natick, MA, USA. Microsoft, Microsoft Windows and Excel are either registered trademarks or trademarks of Microsoft Corporation in the United States and/or other countries. Apache and OpenOffice are trademarks of The Apache Software Foundation.